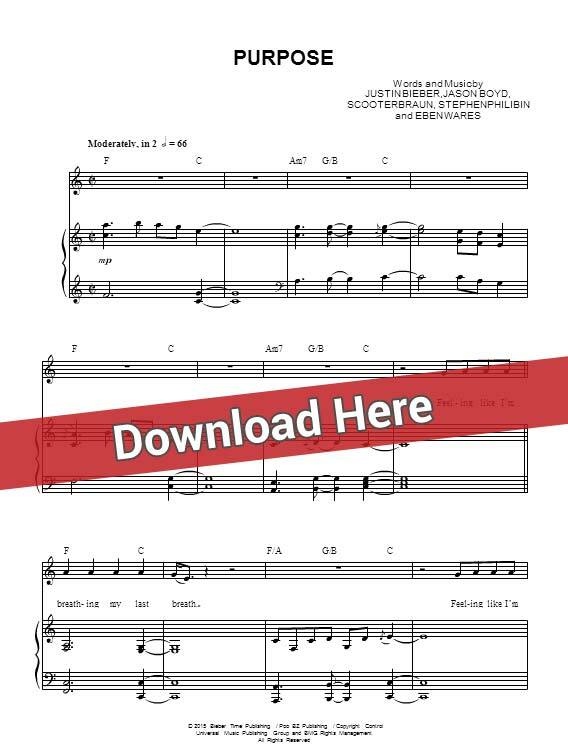 Learn to play Justin Bieber Purpose Sheet Music, Piano Notes, Chords. This sheet music was made for keyobard, piano and voice, vocals. This is an 8-page score for keyboard and voice in range of E4-G5. Check What Do You Mean page.